Kayaking has been one of my favourite outdoor activities for a few years, but I haven’t had many opportunities to do it in Scotland. 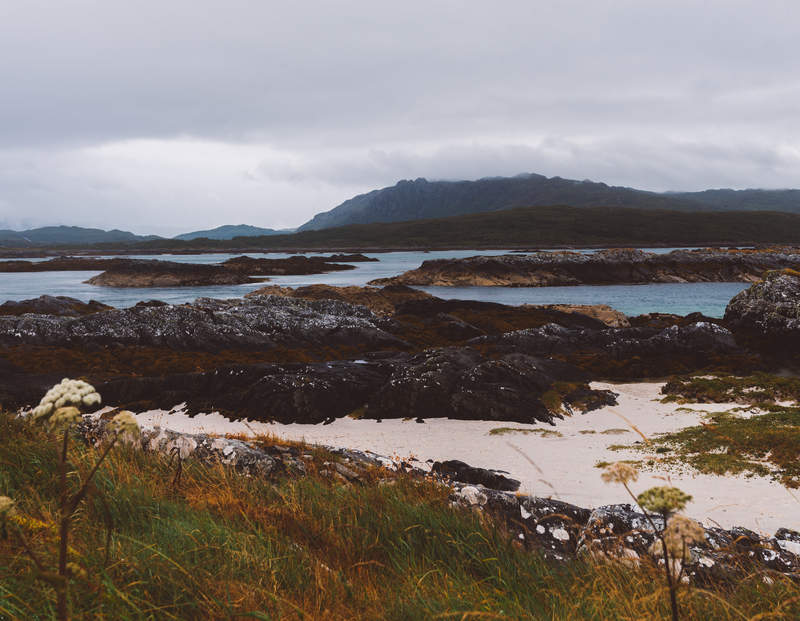 With a spare weekend coming up, I planned to travel up the west coast to enjoy the views and kayak in Arisaig, a beautiful area of our country that is getting more popular each year due to the white sandy beaches and brilliant seafood on offer. Coming from the central belt, to get to Arisaig you pass through Fort William, the starting point for many hikes and adventures north, and then by Glenfinnan. Made popular by Harry Potter, the viaduct in the village attracts thousands of visitors, both young and old, each year. 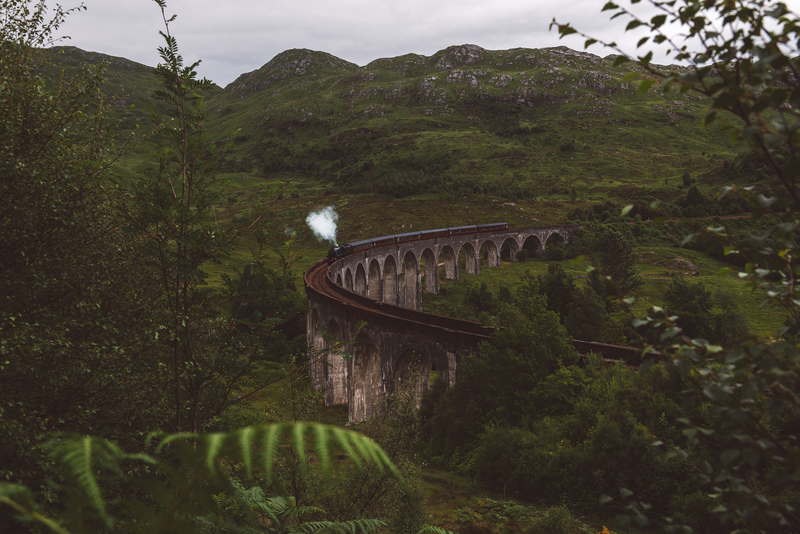 The Jacobite steam train runs from Fort William to Mallaig daily through three seasons each year and for any Harry Potter fanatics you really can't miss it! I waited patiently beside many other tourists and locals to see the iconic steam train travel over the viaduct. For anyone who grew up with the books and movies, it brings back many good memories and is well worth seeing if you come to Scotland. After Glenfinnan, I made my way up the west coast and stayed overnight in the village of Morar before the kayaking the next day. I woke up early and drove to the little village of Arisaig, situated on the shores of Loch nan Ceall, which has spectacular views of both land and sea. Unfortunately the weather this weekend took a turn for the worse after a few months of beautiful sunshine here in Scotland. It was a dark, dreary and rainy start to the day for our kayaking session at the Arisaig Sea Kayak Centre. Our guide Kate met us at the centre with our 6 fellow kayakers, where we layered up for the unpredictable Scottish weather before making our way to the waters edge. 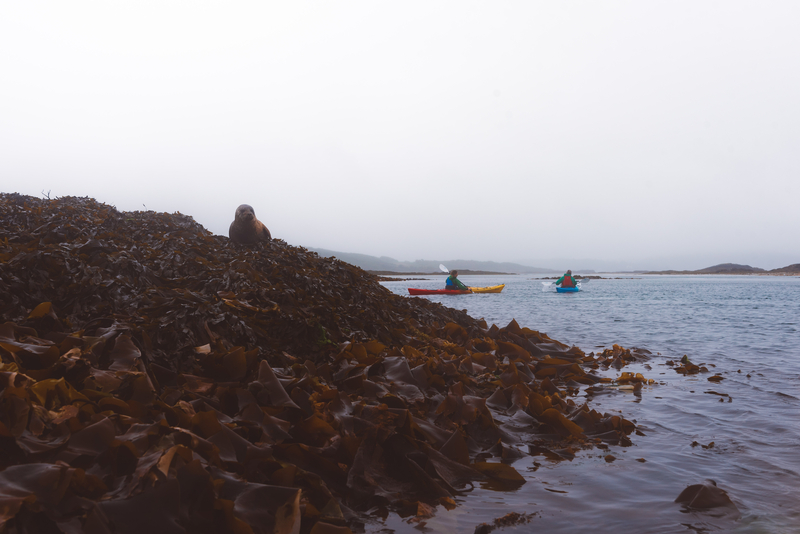 This was only the second time I had every kayaked in Scotland, but for some in the group they had never done it before, so we were taught some basics before jumping in and heading out to explore the Lochaber coastline. 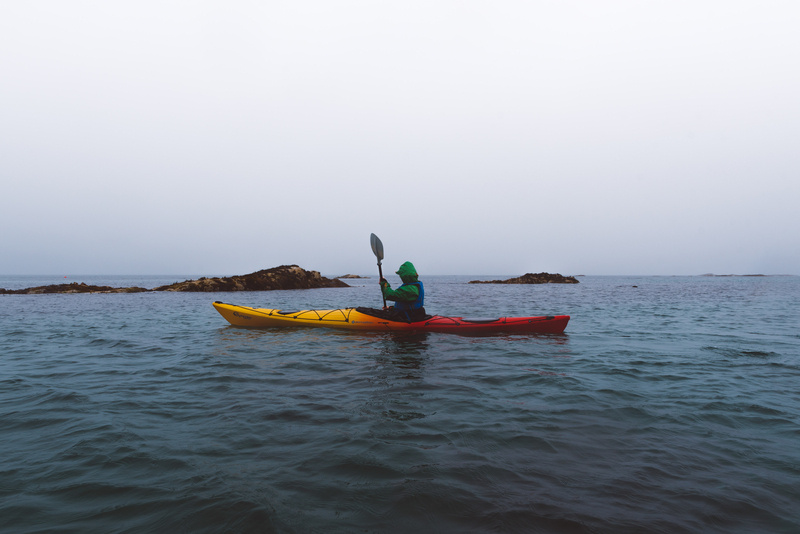 Paddling on the loch between the skerries (rocky reefs and islands) was very calming, even with the cold conditions and the rain coming down which made visibility hard and views of the mountains difficult to pick out with the low clouds. 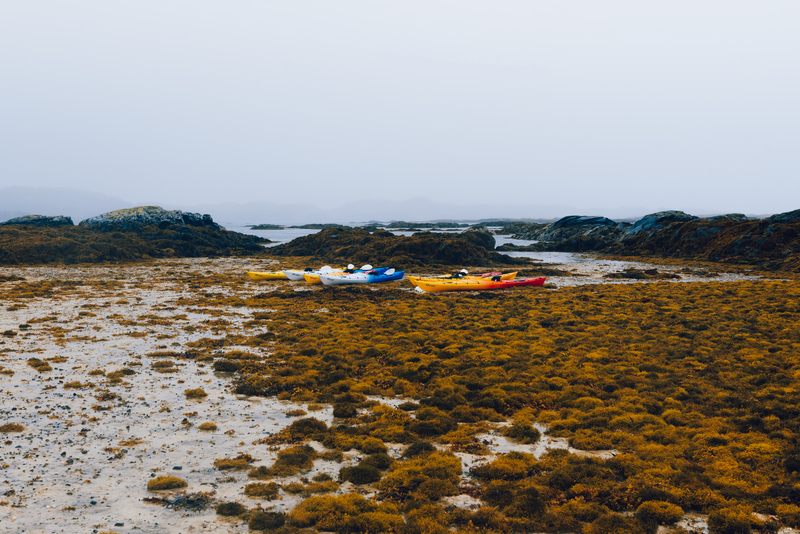 Wildlife is one of the main attractions of kayaking around this area and we were fortunate enough to see plenty of seals with their pups lazing on the shores whilst we paddled beside them: the rare otters and porpoises were not to be seen this time around. We kayaked for most of the morning and afternoon, stopping for lunch on a remote beach and enjoying the fresh air and quietness of having no one else around us. The contrast between the busy viaduct the day before and the kayaking was huge, considering how close in proximity both areas are. We returned to the centre tired and wet but full of enthusiasm and excitement from exploring the coastline and seeing the views from a different perspective. If you are looking for a company to go kayaking with in the west coast of Scotland, I can’t recommend the Kayak Centre in Arisaig highly enough. If you are lucky to get bright skies and sunshine, the landscapes in Arisaig would make a perfect backdrop for photographs and water activities: I’m hoping to get back up to this area of the country when the weather clears up this year! 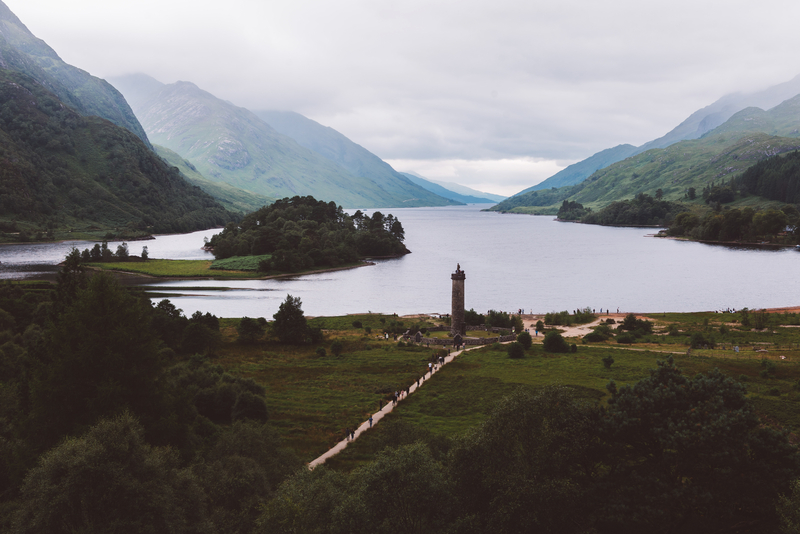 Have you kayaked in Scotland before, or been to Arisaig or Glenfinnan? Let me know in the comments below!